Altadore is one of the most popular southern inner city communities in Calgary to live in. You might ask, what separates it from the rest of the pack? Well, see for yourself below our 3 reasons to buy a home in Altadore Calgary! Homes in Altadore Calgary are in high demand and will continue to be for years to come. Why, you might ask? 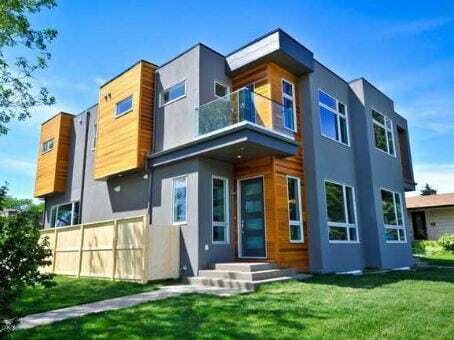 Altadore is positioned perfectly in the inner city area of Calgary, not too far from downtown but not too close either. Residents have awesome recreational opportunities provided by the reputed network of river parks and pathways Calgary is known for that are found immediately east of the community, while traveling to and from other parts of the city is easy to do using Crowchild Trail, it’s western border. And the areas northern border just happens to be the well-known business district of Marda Loop, with over 100 businesses and counting. What a convenience! When buying a new home, it’s always important to think about the area amenities and how it will impact your day to day lifestyle. Homes in Altadore Calgary are a good investment because of the proximity to shopping, restaurants, parks, schools and more. These services and locations are the pillars of our basic needs and providing for our families. Altadore is a youthful community with approximately 82.3 percent of its population under the age of 54. Many family’s have chosen to reside here because it is very much a family-orientated community, where walking to the park to play with the kids or taking the young ones to school takes only minutes. Public school designation for elementary, junior high and senior high levels are all within the area or are a short walking distance from, so kids will have the opportunity to bond with others of their age not far from home. For more information about this area, please visit our Altadore Infill Community Profile. Questions about Homes in Altadore Calgary? Please call me at 403.370.4180 or message me using the form below. I would be happy to assist you in accomplishing your real estate goals. We were searching for a rental property in the inner city and found Cody to be very knowledgeable about both rental properties and the inner city housing market.